In its 25 anniversary year, the company will highlight new developments focused on delivering the best rendering quality, including real-time ray tracing with Nvidia RTX GPUs. 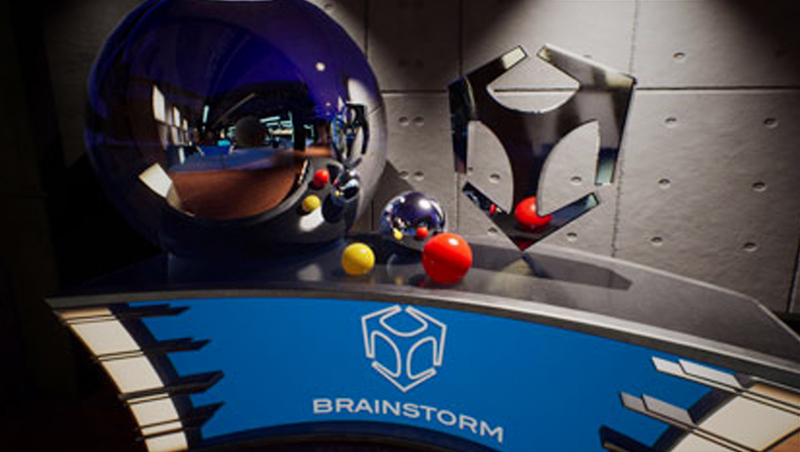 InfinitySet, Brainstorm’s virtual set and augmented reality solution, will showcase its latest version 3.1, which includes new powerful features like real-time ray tracing, Unreal Engine 4.22 compatibility, HDR I/O, PBR, new effects and new 360-degree output, to mention just a few. InfinitySet will be the star of the show powering the main demo, which will display advanced, photorealistic augmented and mixed reality content in a highly visually engaging presentation. InfinitySet performs at its best within complex broadcast environments, being capable of working as a hub for a number of technologies and hardware required for virtual set and augmented reality operation, such as hardware chroma keyers, tracking devices, cameras, mixers and many other. This puts InfinitySet firmly at the center of the virtual operation as well as transcending the real-time broadcast boundaries by entering the series and film market by providing real-time post-production and high-end content pre-visualization. Last, but not least, InfinitySet will demonstrate a new module to enhance presentations by creating advanced AR content using material from any presentation tool, such as Microsoft PowerPoint or Adobe PDF, and including keyed talents. Aston, Brainstorm’s motion graphics creation, CG and playout solution, will also showcase version 3.1, which introduces Aston2D, a dedicated version that brings the power and heritage of Aston to dedicated 2D-only requirements. When the most sophisticated tools for 3D graphics are required, Aston provides them all, but for applications which do not require such advanced 3D features, or for designers used to 2D environments, Aston 2D is the right choice. Aston 2D does not reduce Aston’s versatility and functionality but provides all the power and capabilities of the Aston but in a two-dimensional world, and in a much more affordable format.